KrebsOnSecurity recently had a chance to interview members of the REACT Task Force, a team of law enforcement officers and prosecutors based in Santa Clara, Calif. that has been tracking down individuals engaged in unauthorized “SIM swaps” — a complex form of mobile phone fraud that is often used to steal large amounts of cryptocurrencies and other items of value from victims. Snippets from that fascinating conversation are recounted below, and punctuated by accounts from a recent victim who lost more than $100,000 after his mobile phone number was hijacked. In late September 2018, the REACT Task Force spearheaded an investigation that led to the arrest of two Missouri men — both in their early 20s — who are accused of conducting SIM swaps to steal $14 million from a cryptocurrency company based in San Jose, Calif. Two months earlier, the task force was instrumental in apprehending 20-year-old Joel Ortiz, a Boston man suspected of stealing millions of dollars in cryptocoins with the help of SIM swaps. Samy Tarazi is a sergeant with the Santa Clara County Sheriff’s office and a REACT supervisor. The force was originally created to tackle a range of cybercrimes, but Tarazi says SIM swappers are a primary target now for two reasons. First, many of the individuals targeted by SIM swappers live in or run businesses based in northern California. More importantly, he says, the frequency of SIM swapping attacks is…well, off the hook right now. As common as SIM swapping has become, Tarazi said he and other members of REACT suspect that there are only a few dozen individuals responsible for perpetrating most of these heists. Indeed, the theft of $100,000 worth of cryptocurrency in July 2018 was the impetus for my interview with REACT. I reached out to the task force after hearing about their role in assisting SIM swapping victim Christian Ferri, who is president and CEO of San Francisco-based cryptocurrency firm BlockStar. In early July 2018, Ferri was traveling in Europe when he discovered his T-Mobile phone no longer had service. He’d later learn that thieves had abused access to T-Mobile’s customer database to deactivate the SIM card in his phone and to activate a new one that they had in their own mobile device. Soon after, the attackers were able to use their control over his mobile number to reset his Gmail account password. From there, the perpetrators accessed a Google Drive document that Ferri had used to record credentials to other sites, including a cryptocurrency exchange. Although that level of access could have let the crooks steal a great deal more from Ferri, they were simply after his cryptocoins, and in short order he was relieved of approximately $100,000 worth of coinage. We’ll hear more about Ferri’s case in a moment. But first I should clarify that the REACT task force members did not discuss with me the details of Mr. Ferri’s case — even though according to Ferri a key member of the task force we’ll meet later has been actively investigating on his behalf. The remainder of this interview with REACT pivots off of Ferri’s incident mainly because the details surrounding his case help clarify some of the most confusing and murky aspects of how these crimes are perpetrated — and, more importantly, what we can do about them. Rose said even though a successful SIM swap often gives the perpetrator access to traditional bank accounts, the attackers seem to be mainly interested in stealing cryptocurrencies. The “how” of these SIM swaps is often the most interesting because it’s the one aspect of this crime that’s probably the least well-understood. Ferri said when he initially contacted T-Mobile about his incident, the company told him that the perpetrator had entered a T-Mobile store and presented a fake ID in Ferri’s name. But Ferri said once the REACT Task Force got involved in his case, it became clear that video surveillance footage from the date and time of his SIM swap showed no such evidence of anyone entering the store to present a fake ID. Rather, he said, this explanation of events was a misunderstanding at best, and more likely a cover-up at some level. Caleb Tuttle, a detective with the Santa Clara County District Attorney’s office, said he has yet to encounter a single SIM swapping incident in which the perpetrator actually presented ID in person at a mobile phone store. That’s just too risky for the attackers, he said. “I’ve talked to hundreds of victims, and I haven’t seen any cases where the suspect is going into a store to do this,” Tuttle said. Tuttle said SIM swapping happens in one of three ways. The first is when the attacker bribes or blackmails a mobile store employee into assisting in the crime. The second involves current and/or former mobile store employees who knowingly abuse their access to customer data and the mobile company’s network. Finally, crooked store employees may trick unwitting associates at other stores into swapping a target’s existing SIM card with a new one. “Most of these SIM swaps are being done over the phone, and the notes we’re seeing about the change in the [victim’s] account usually are left either by [a complicit] employee trying to cover their tracks, or because the employee who typed in that note actually believed what they were typing.” In the latter case, the employee who left a note in the customer’s account saying ID had been presented in-store was tricked by a complicit co-worker at another store who falsely claimed that a customer there had already presented ID. Asked directly about this mysterious product supposedly being offered on the Dark Web, the REACT task force members put our phone interview on hold for several minutes while they privately huddled to discuss the question. When they finally took me off mute, a member of the task force instead answered a different question that I’d asked much earlier in the interview. When pressed about the software again, there was a long, uncomfortable silence. Then Detective Tuttle spoke up. T-Mobile likewise declined to comment on the allegation that thieves had somehow built software which gave them direct access to T-Mobile customer data. However, in at least three separate instances over the past six months, T-Mobile has been forced to acknowledge incidents of unauthorized access to customer records. In August 2018, T-Mobile published a notice saying its security team discovered and shut down unauthorized access to certain information, including customer name, billing zip code, phone number, email address, account number, account type (prepaid or postpaid) and/or date of birth. A T-Mobile spokesperson said at the time that this incident impacted roughly two percent of its subscriber base, or approximately 2.5 million customers. In May 2018, T-Mobile fixed a bug in its Web site that let anyone view the personal account details of any customer. 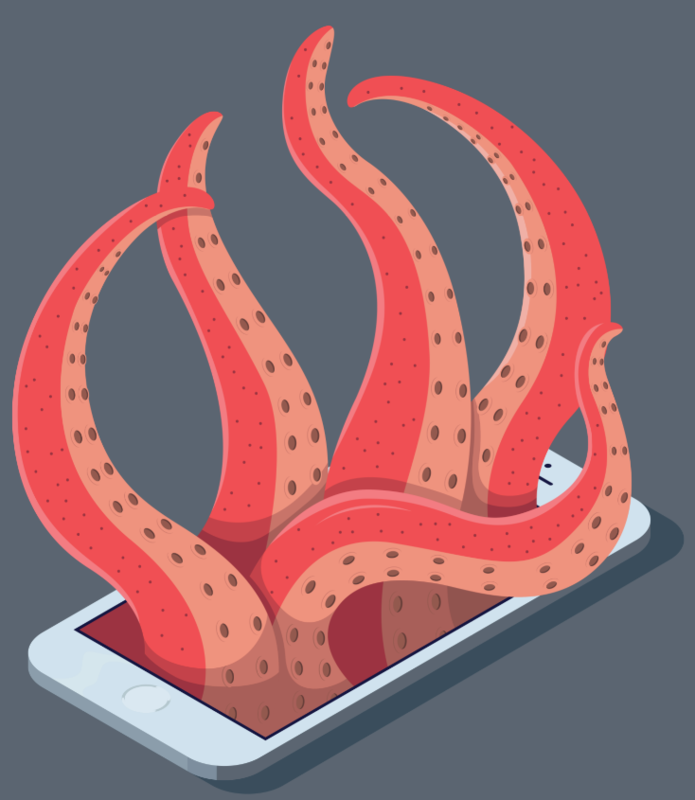 The bug could be exploited simply by adding the phone number of a target to the end of a Web address used by one of the company’s internal tools that was nevertheless accessible via the open Internet. The data provided by that tool reportedly also included references to account PINs used by customers as a security question when contacting T-Mobile customer support. In April 2018, T-Mobile fixed a related bug in its public Web site that allowed anyone to pull data tied to customer accounts, including the user’s account number and the target phone’s IMSI — a unique number that ties subscribers to their specific mobile device. I wanted to hear from the REACT team what they thought the mobile carriers could be doing to better detect and prevent SIM swaps. I received a range of responses. Rose said mobile phone stores could cut down on these crimes in much the same way that potential victims can combat SIM swapping: By relying on dual authentication. Sgt. Terazi said a big challenge for mobile stores is balancing customer service with account security. After all, he said, customers legitimately request SIM swaps all the time — such as when a phone is lost or stolen, or when the customer upgrades to a phone that requires a SIM card of a different size. 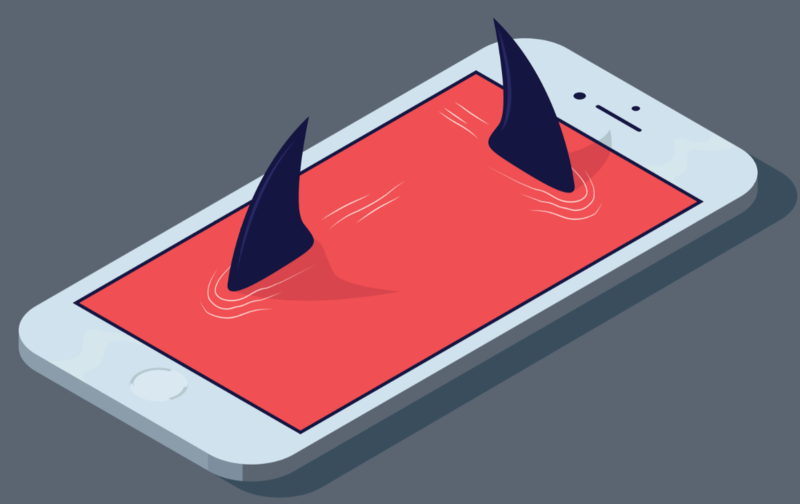 Tarazi added that in many cases there’s a vast disconnect between a mobile company’s corporate offices and security policies at the local store level. Asked what he would have done differently about his attack, Ferri said he’d have set up his Google accounts to use app-based two-factor authentication, instead of relying merely on his mobile phone to receive that second factor via text message. In fact, this is the precise advice offered by Joel Ortiz, the alleged SIM swapper mentioned earlier who was arrested this year by the REACT Task Force. According to published reports, Ortiz taught many other SIM swappers how to perfect their techniques — and how to avoid being victimized themselves by rival SIM swappers. I included the specifics from Ortiz’s advice in my Aug. 16 column, Hanging Up On Mobile in the Name of Security. Det. Tuttle said in a typical SIM swap attack the perpetrators have studied their target in advance, much the same way bank robbers might spend a few days observing the comings and goings at a specific bank branch before making their move. “Usually, once a SIM swap is done they’ve already done enough research and social engineering on victims to know what accounts the victim has — whether it’s Gmail or Dropbox or whatever,” Tuttle said. “The next thing they do is go to these accounts and use the ‘forgot password’ function and request a password reset link via SMS to gain access to those accounts. From there, they start looking for cryptocurrency exchange passwords, private keys, and reseed codes to steal cryptocurrencies. Tuttle said it’s important for people to use something other than text messages for two-factor authentication on their email accounts when stronger authentication options are available. He advises people instead use a mobile app like Authy or Google Authenticator to generate the one-time code. Or better yet, a physical security key if that’s an option. Dave Berry, a task force member and investigator with the Santa Clara County District Attorney’s office, said cryptocurrency enthusiasts should be storing most of their crypto funds in hardware wallets, and storing private keys needed to spend or transfer those funds on a device that doesn’t touch the Internet. Printing out and properly securing a set of one-time codes that can be used if a mobile device is lost or stolen is a good idea as well. But most of all, Berry said, people should stop using SMS when more robust two-factor options are available. “There may be some inconvenience factor there, but if you don’t have any two-factor going over text message, you really do limit the potential damage that way,” Berry said. Sgt. 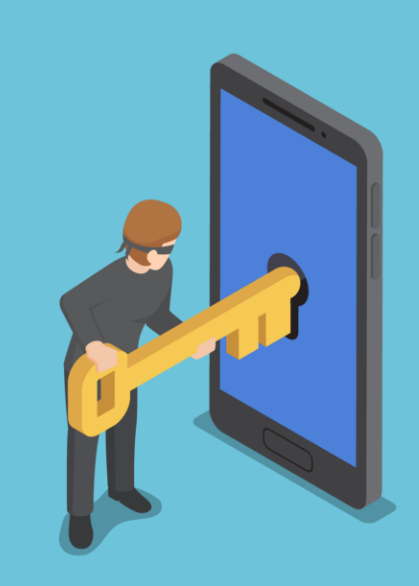 Tarazi says one big problem is that it’s still not common knowledge that SMS-based two-factor can leave users with a false sense of security. Lt. Rose notes that this dynamic helps some SIM swapping thieves justify their crimes. “We see this a lot, where by their own words they’ll blame victims for not protecting themselves properly, saying it’s the victim’s fault he got robbed,” Rose said. On top of that, Rose said many crooks involved in SIM swapping tend to adopt the view that they are stealing from fabulously wealthy individuals who will still be well off after they’re relieved of some of their crypto assets — as with the case of bitcoin entrepreneur Michael Terpin, who lost $24 million in cryptocurrencies after getting hit by an unauthorized SIM swap earlier this year (allegedly at the hands of a crooked AT&T retail store employee). But Detective Tuttle said Terpin’s example is an outlier. For Erin West, deputy district attorney with the Santa Clara DA’s office, this dynamic is a major factor driving the work of the REACT task force. West says she believes her group is a having a strong deterrent effect, and that the individuals who persist in carrying out these crimes are all keenly aware of the group’s work. U.S. Secret Service Warns ID Thieves are Abusing USPS’s Mail Scanning Ser... Who’s In Your Online Shopping Cart?